It was meant to be one of five mega holiday camps which the Nazis planned to use for people’s recreation and indoctrination. 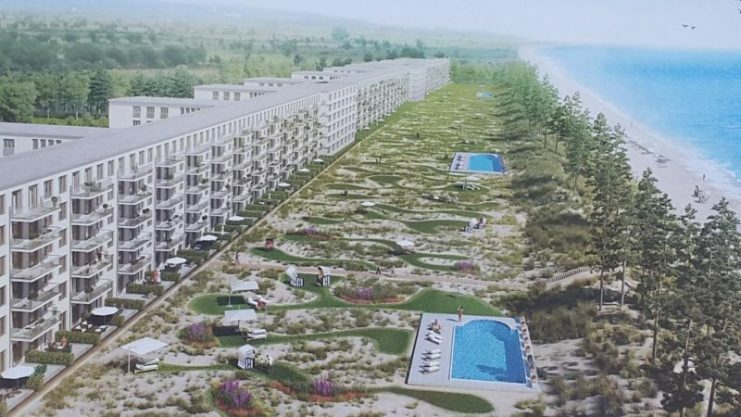 In 1936, almost three years before Adolf Hitler ordered German forces to invade Poland, thus starting World War II, Hitler instructed his staff to begin building the world’s largest resort, situated on the beachfront on the island of Rugen. 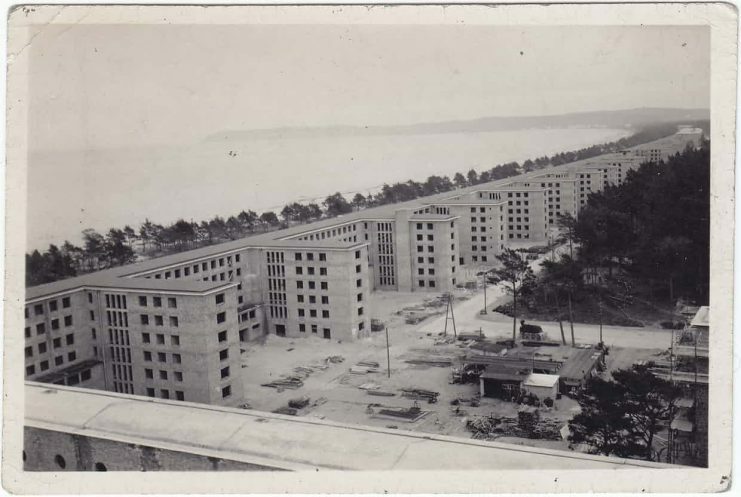 More than 9,000 workers helped construct Prora. 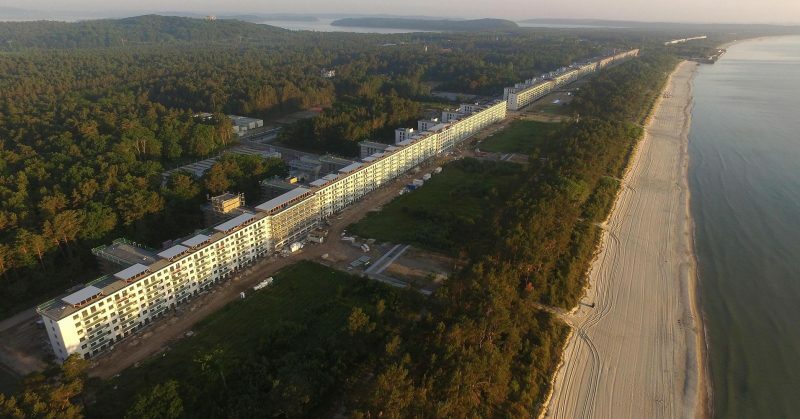 This enormous construction project took place under the Kraft durchFreude (KdF) or Strength Through Joy banner and was designed to create an enormous holiday resort that was to cater for affordable holidays for the average working man in Germany but the designers also had to ensure it could be converted to a military hospital should war break out. It was intended as an immense holiday camp, the largest in the world at nearly three miles long, stretching in a sandy arc along the Baltic Sea. 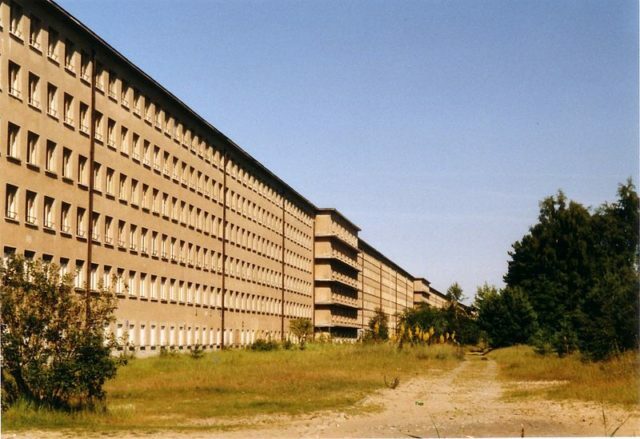 The complex of eight buildings, the Nazis called Prora, was built by some 9,000 workers and stretched for 7 miles along the beach and was about just 300 feet from the sea. The entire complex, when full, would hold a total of some 20,000 people. The resort contained identical rooms, with each room holding two beds a sink and a dresser. The design of the resort ensured that all the rooms had a sea view with corridors and ablution facilities situated on the land side of the buildings. There were communal toilets and bathrooms on each floor. At the heart of the complex was a beautiful hall, known as the Festival Hall. This magnificent structure was designed by the renowned architect Erich Putlitz. The hall contained movie theatres and two wave pools buts its real intent was a little more insidious than simple entertainment. This is where the holidaymakers would have been groomed to wage war and work for the good of the Nazi regime. This fantastic complex was never used for its intended purpose, and it stood unused for many of the war years. In 1945 the Soviet Army established a base in Block 5 and in 1955 they removed all the usable material from this block and abandoned the premises. 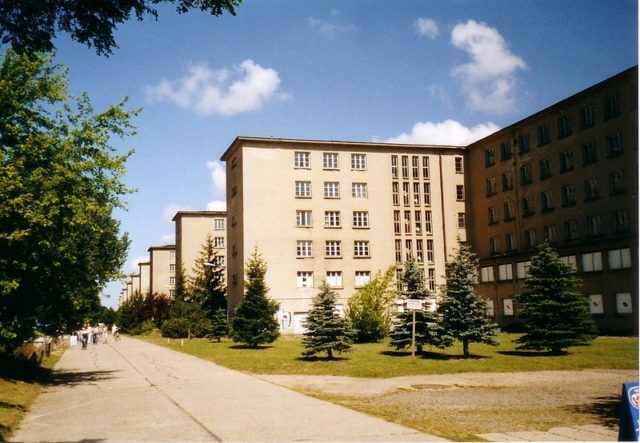 In the 1950’s the German military took an interest in the complex and renovated several of the buildings, and in 1956 the complex became home to several East German military units. Capable of holding more than 20,000 residents at a single time. 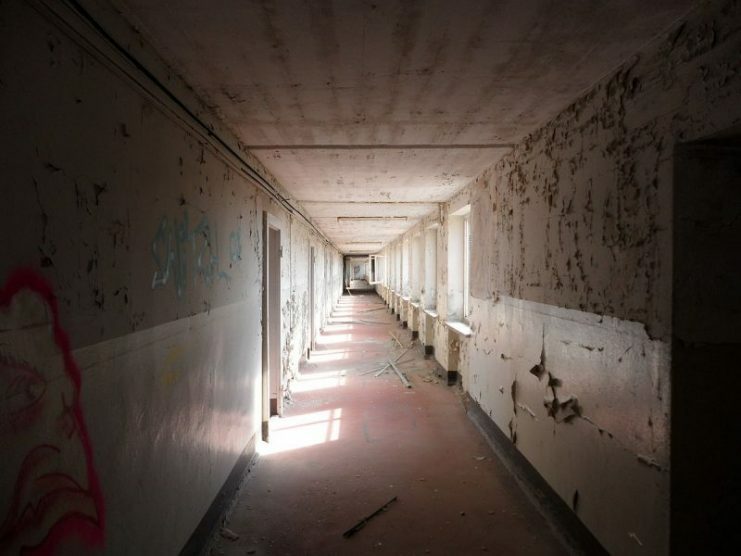 One of the northern blocks, Block 4, was used by the military for combat training for urban environments and was seriously damaged. After German Unification, there was a plan to demolish the complex but sane heads prevailed, and the complex was advertised for sale with tax relief given to companies that would renovate and develop the area. With no takers, initially, the building was used in the early 1990’s to house asylum seekers. The only block that did not fall into complete disrepair was Block 3, which housed a number of museums and a gallery. In 2004, the German Government decided to sell the blocks individually as they had no success in selling the complex as a whole. 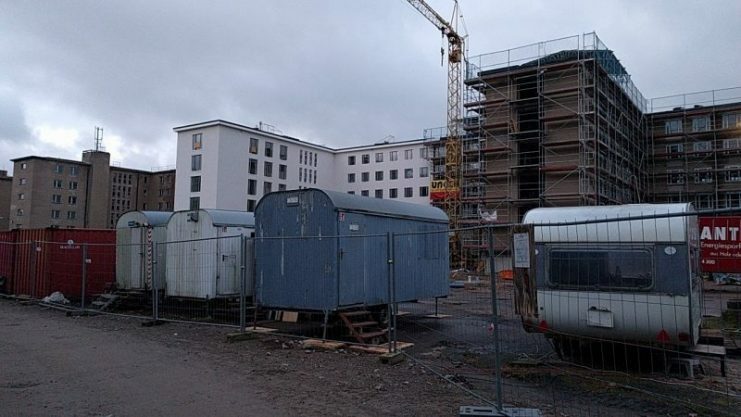 Slowly the blocks were sold, and today the entire complex has a different look from that which Hitler originally intended. 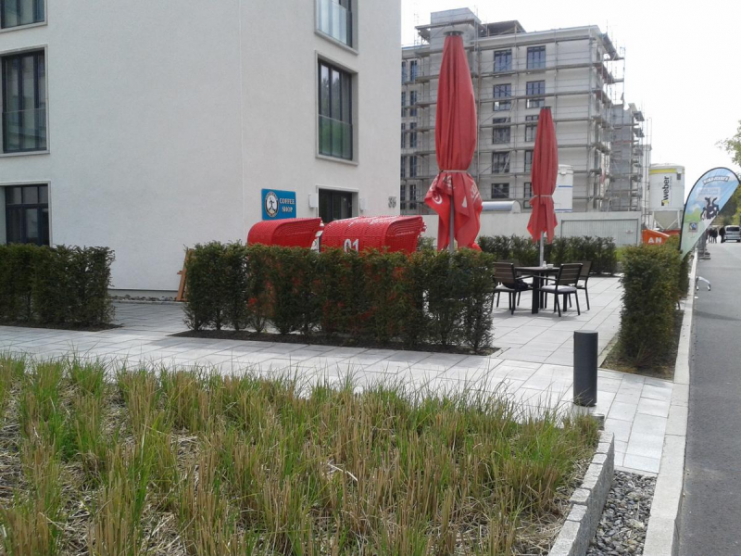 In 2006 Block 5, was bought by the German federal agency for real estate and by 2011 it had been converted into the world’s largest youth hostel with 96 rooms and 402 beds. 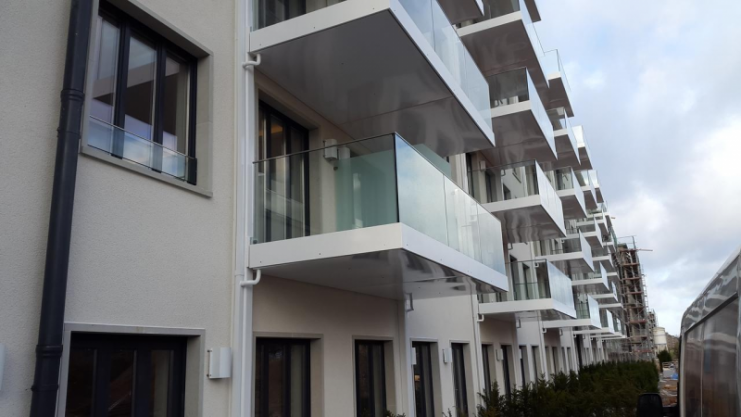 German real-estate company, Metropole, is now the proud owner of Prora and the small two-bedrooms have been converted into luxurious apartments that can be rented to holidaymakers or can be purchased. 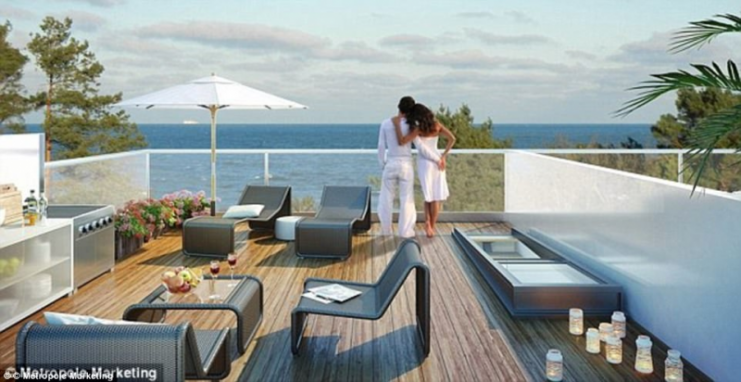 These apartments are not aimed at the low end of the market as they range in price from $400,00 to $900,000 depending on the block that they are in and the size of the apartment. 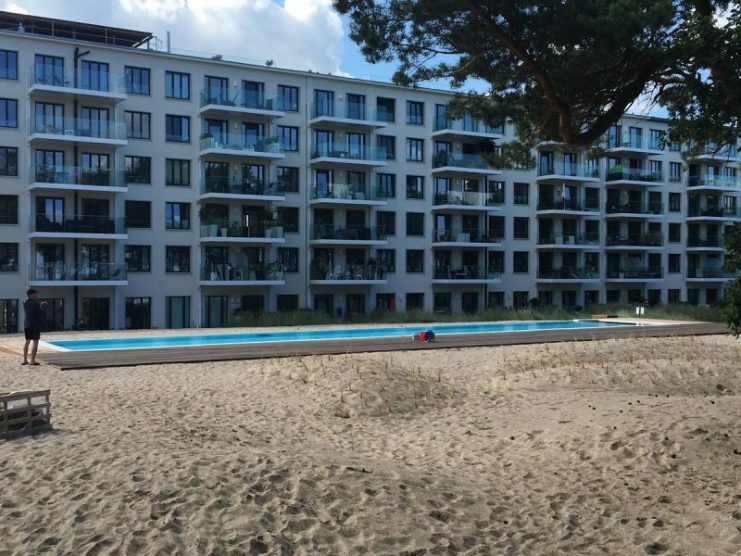 Prora today is a far cry from its initial humble beginnings, but magnificent Baltic beaches that stretch for miles with clean sand and warm water are likely to attract the wealthy.